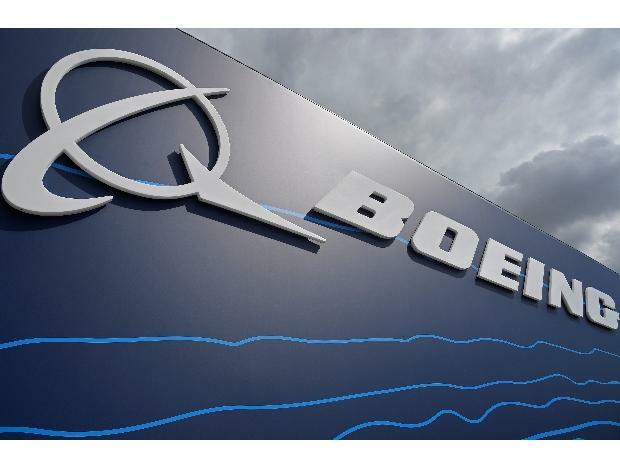 Boeing Co topped expectations with both quarterly profit and its forecast for 2019 cash flow on Wednesday, as a boom in air travel underpinned a prediction for full-year deliveries of around 900 commercial airplanes. The company said it expects to deliver between 895 and 905 commercial aircraft in 2019, up from the 806 units it delivered last year, which kept it ahead of rival Airbus as the world's biggest planemaker for the seventh straight year. Boeing's shares rose 6.4 per cent to $388.25 in early trading in response, helping lift the US stock futures. Investors closely watch the number of planes Boeing turns over to airlines and leasing firms in a year for hints on the company's cash flow and revenue. The company forecast operating cash flow between $17 billion and $17.5 billion in 2019, compared with cash flow of $15.32 billion in 2018, and above analysts' average estimate of $16.73 billion, according to IBES data from Refinitiv. It expected 2019 core earnings between $19.90 per share and $20.10 per share, and revenue between $109.5 billion and $111.5 billion. Those numbers indicate that the fuselage and engine delays at suppliers that dominated last year are largely behind Boeing. Boeing's core earnings rose to $5.48 per share in the fourth quarter ended Dec. 31, from $5.07 per share a year earlier, and came in above Wall Street's estimate of $4.57 per share. Quarterly revenue rose 14.4 per cent to $28.34 billion, above analysts' average expectation of $26.87 billion.